Criminal conviction and jail time for violating protest regulations can apply only to protesters who pose real threat to other people’s lives or property, the Constitutional Court ruled on 10 February 2017. Human rights advocates feared that implementation of the Court’s ruling would depend heavily on politics, but in a largely unexpected turn on 22 February 2017 the Supreme Court ordered to release Russia’s first prisoner convicted for protesting, cancelling his sentence. 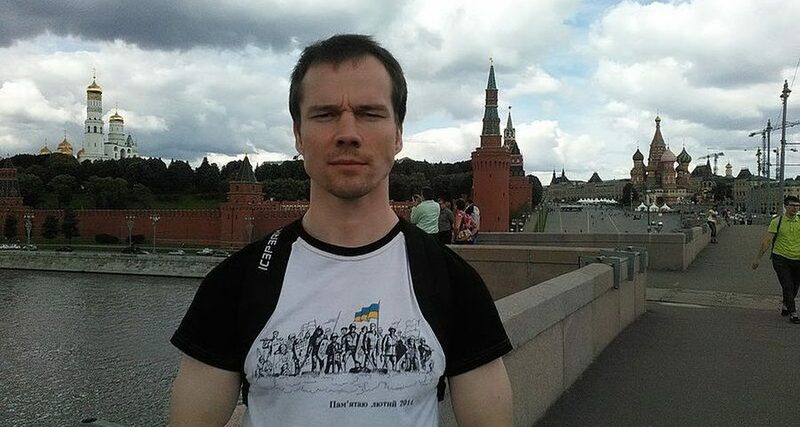 Ildar Dadin, a 34-year-old activist, was the first Russian to be given a real prison term for protesting1Ildar Dadin is the first convict [sentenced for] protesting. Meduza, Dec. 7, 2015, https://meduza.io/feature/2015/12/07/za-uporstvo-i-neprimirimost. A frequent participant in rallies in Moscow in 2014-15 and a tireless picketer, in December 2015 Dadin was sentenced to three years in prison (which the appellate court got down to 2.5 years) for participating in several unauthorised rallies. The prosecution accused him of “repeated breaches of laws regulating the organisation and conduct of gatherings, rallies, demonstrations, marches and pickets” which was made a criminal offence in July 20142Article 212.1 Repeated breaches of laws regulating the organisation and conduct of gatherings, rallies, demonstrations, marches and pickets: http://www.zakonrf.info/uk/212.1/. Many saw the sentence handed down to Dadin as a highly controversial move, fearing that authorities would use the precedent to crack down on protesters ever harder than previously. However, Dadin’s lawyers filed a complaint to the Constitutional Court, arguing that the 2014 law criminalises actions that are incommensurable with the punishment and violates constitutional rights, such as freedom of speech, freedom of assembly, and the right not to be punished twice for the same offence. On 10 February the Court issued its ruling3Judgement in the case regarding the review of constitutionality of Article 212.1 of the Criminal Code of the Russian Federation, Feb. 10, 2017, http://www.ksrf.ru/en/News/Pages/ViewItem.aspx?ParamId=1975, stating that legislation in question is not unconstitutional, but its implementation should be limited. Criminal liability should apply only to perpetrators who, while participating in unauthorised rallies, posed a threat to other people’s lives and property. It should not apply to peaceful protesters such as Dadin, the Court stated; Dadin’s case should be retried. And yet, it is too early for optimism, human rights activists warn – for both Dadin and other protesters in danger of falling victim to the controversial law. In theory, rulings of the Constitutional Court have the same status as laws and are mandatory for law enforcement, Pavel Chikov, founder of the Agora international human rights group, told Legal Dialogue. In reality, too many things could be in the way. “Does the Constitutional Court have enough influence and political weight to make all the other courts comply with the ruling? Will there be enough political will not to crack down on more protesters? Will the Supreme Court cancel Dadin’s sentence and send the case back for a retrial? Until all these questions are answered, it is really hard to say whether the ruling will really change something,” Chikov said. Under article 212.1 of Russia’s Criminal Code, protesters face criminal prosecution if they have violated protest regulations more than twice in half a year, which has resulted in administrative punishment (a fine or an administrative arrest). In Dadin’s case, the Constitutional Court found, his three of his four administrative sentences had not come into force by the time the criminal case against him was launched. Criminal prosecution can not be initiated if administrative sentences haven’t come into force, the Court ruled. Moreover, the prosecution must prove intent in order to launch a criminal case against a protester, the ruling stated: if the violation was inadvertent, it shouldn’t result in criminal liability. Jail time is too harsh a punishment for participating in unauthorised rallies, the ruling went on to say; it can apply only in cases in which perpetrators turned peaceful protests into violent ones, caused bodily harm to other people, or damaged their property. The ruling concluded that Dadin’s case should be retried. “Dadin’s defence team hopes for a fast retrial of the case by the Supreme Court’s presidium in Moscow,” one of Dadin’s lawyers, Sergei Golubok, told Legal Dialogue following the Constitutional Court’s ruling earlier in February. It all comes down to political competition between different law enforcement entities, Chikov says, which involves not just the Supreme Court but also prosecutors, investigators from the Investigative Committee, and other government bodies who might want to keep the article the way it is in order to have a tool with which to crack down on the Kremlin’s political opponent. The success of the Constitutional Court’s ruling depends heavily on whether there is a powerful enough political force supporting it, the lawyer adds, because the Constitutional Court alone and its chief justice Valery Zorkin don’t have enough political weight to push it forward.